All add-ons listed below are cloud applications that integrate fully with Xero cloud accounting software meaning they post relevant transactions and have two way communication between the applications. There are many add-ons that perform the similar functions, the most useful/best value of which feature below. Not all are listed so please ask if you have a specific sector/function that you think would benefit an add-on, there probably is one available. The most popular application for automating the posting of expense receipts. Submitting receipts by taking a picture, scanning or mailing to receipt bank, the data is automatically extracted and published to Xero once reviewed by client/accountant. From £20 per month. Created by Xero to manage client interactions, track leads and manage jobs, tasks and quotes. Arguably the best integrated CRM for Xero. From £15 per month. Simplified CRM for tracking leads and job quotes along a fully customisable sales pipeline. Has great mobile functionality and very good reporting features. From $25 per month. OneSaas is an intermediary application that links Xero to saleforce. This is an ideal solution for anyone wanting continue using their existing salesforce CRM. Has the added benefit of integrating mailchimp and ebay among others as part of the API. From £19 per month. Provides a cheaper way to pay international invoices in multiple currencies. Much cheaper than bank rates due to the exchange rates they use and integrates fully with Xero. £5 per transaction. Free point of sale card reader, can also use ipad as cash register. Ideal solution for clients taking payments at point of sale. Approx 2.75% fee per transaction. Inventory management, integration with eshops, print shipping labels and extensive reporting tool. From $49 per month. As well as integrating salesforce, OneSaas integrates with ebay automatically creating invoices and contacts when an order is created. Contacts also added to mailchimp for email marketing. Very useful to get all existing apps talking to each other. From £19 per month. Zapier is an intermediary application ideal for those who already use evernote or google docs as a document management system. A simple drag and drop between applications allows documents to be shared between them. From £20 per month. 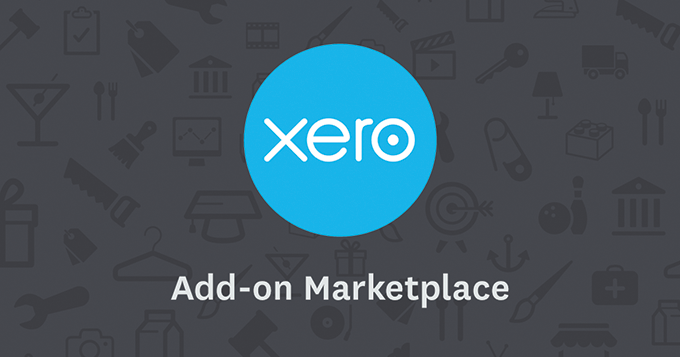 Cloud Accountant can advise on the best Xero Add-ons for your business. With approx. 300 available apps there will be many that can help with your accounting and save you time and money.